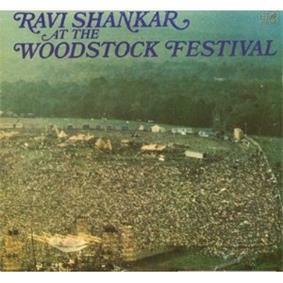 At the Woodstock Festival is a live album by Indian sitarist Ravi Shankar that was released in 1969 on World Pacific Records. It was recorded on 15 August 1969 at the Woodstock Festival in upstate New York. Shankar was the first artist to have anything released from the festival. The album was issued on CD in 1991 by BGO Records (BGO CD 117). In 2009 on the six-CD box set Woodstock 40 Years On: Back To Yasgur's Farm Raga Puriya-Dhanashri/Gat In Sawarital the actual Woodstock Recording was released.